I am back from Los Angeles, where I attended Microsoft’s developers conference. Waiting for me: A shiny new iPod nano. Much thanks to Apple for sending this huge surprise. I nearly bought one last Friday in Bethesda, Md. I resisted, although by Sunday I was ready to plunk down 250 bucks. No chance, the 4GB model had sold out; I couldn’t find one in any of the three Washington Apple Stores. My boss attended the Microsoft conference, too, and he had an iPod nano with him. He showed it off lots. I expected some folks to mug him. People look at the music player, and they’re awestruck. It’s amazing. 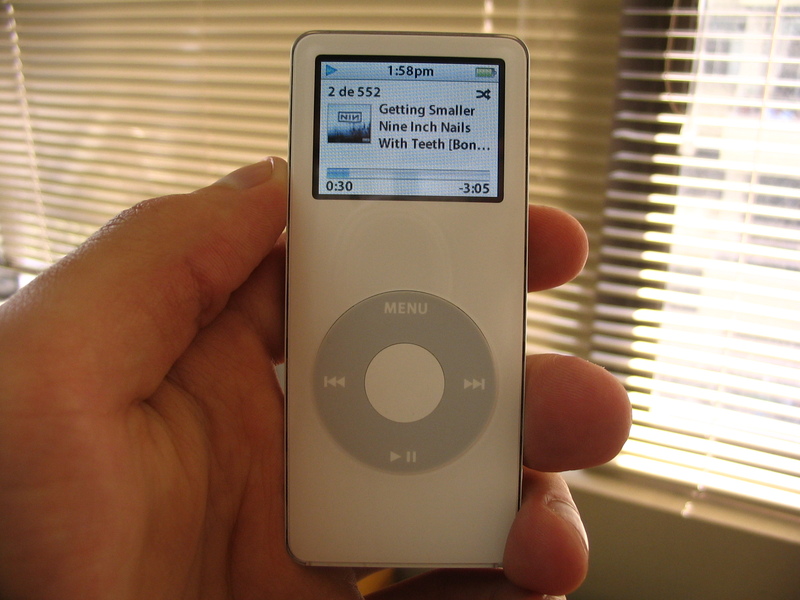 Apple’s TV ad for the iPod nano—”Gimme That!”—is just so appropriate. In a New York Times column today, David Pogue described the music player just right: “To see one is to want one. If you hope to resist, lash your credit card to your wallet like Odysseus to the mast”.